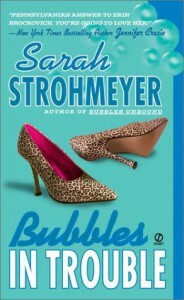 This book is the 2nd in the Bubbles Yablonsky series. This story takes place mostly in the Amish country, Lancaster County. It was interesting to read about the Amish and all the humorous situations Bubbles got herself into. The PA Dutch talk in the book had me laughing because I could totally understand and actually hear how it would be said. This was a fun and light read. Will definitely continue reading this series.